Angela Sells was inspired by Sabina Spielrein's life story and the the words she left behind. Her hope is that readers find a message of curiosity for the lives and voices of womens stories who may have been diminished or demeaned in history. 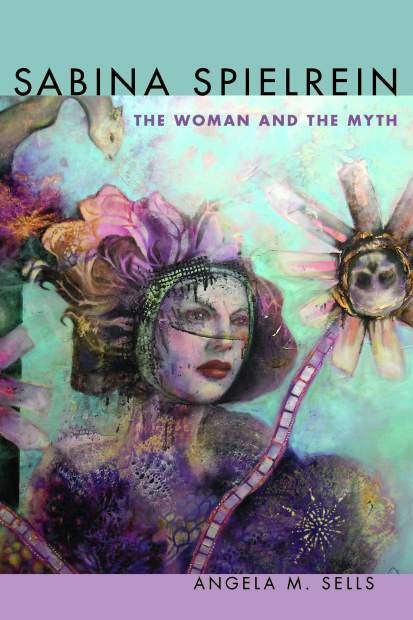 Local author and co-owner of the Open Book, Angela Sells, has released her book called, “Sabina Spielrein: The Woman and The Myth.” We caught up with Sells and lobbed a few questions her way about her life and her book. I co-run the Open Book (and Press) with Will Dane in Grass Valley, which allows me to meet new patrons, bands, artists, and authors every week — an incredible gift. Aside from writing, I love to teach and am a professor of women’s studies at Meridian University in Petaluma, though the commute can be a bit tiring. I also love teaching mythology here at home through OLLI. The classes are always evolving and changing and students are so insightful and engaging. During any free moments, I’ve been getting back into music; I’ve been a drummer off-and-on for over a decade now, which I find deeply cathartic. What brought you this area? My parents retired here recently, but I visited the area a few times a year for about six years before I made the move myself. I was attracted first to the beautiful and peaceful landscape and then to the rich artistic community. I’ve been journaling since I was a kid and used to write short stories about young girls who lost their way and had to figure out how to survive on their own (hmmm). Later on, I became enthralled with Anaïs Nin and my entire approach to writing changed; the line between fiction and memoir blurred fantastically. Her quote, “We write to taste life twice, in the moment and in retrospect” is still deeply resonant. In grad school, I came across the diaries and letters of Sabina Spielrein and knew I wanted to focus my dissertation and then my book on retrieving her story and addressing her erasure from history. What is your favorite book or who is your favorite author? Generally speaking, my favorite book is Jane Eyre. Quick summary: Sabina Spielrein was one of the first female psychologists in history; her voice was suppressed and then stigmatized for almost 70 years, but her contributions to the field — not to mention her beautifully written diaries and letters to and from Carl Jung and Sigmund Freud — were more than worthy of re-introduction. A more detailed summary: Dr. Spielrein’s life was complicated by world wars and revolutions. As a Jewish woman, she was killed during a Nazi occupation of her hometown in Russia alongside her two daughters in 1942. Before that, she lived under the oppression of Stalin’s regime. Before that, she fought tooth-and-nail to become a pioneer of child psychology and a colleague of both Freud and Jung in Vienna and Switzerland. However, numerous scholars have preferred to remember her most for the eight months she spent as a patient, diagnosed with “hysteria” in the early 1900s. Further, there has been an absurd but unsurprising inclination to sexualize her relationship with Jung to the point of overshadowing the rest of her entire adult life and career. In the book, I re-translated her diaries and letters from the original German, confronted various scholars who have attempted to dismiss her original contributions (like the death-wish, so often attributed to Freud) and mythic archetypes (so regularly attributed to Jung), and looked more in depth at her life in its historical context through the perspectives of socio-politics, mythic literature, and women’s autobiography. Her words. Her life. And, I believe, a healthy amount of righteous rage. What do you find most challenging about writing a book? Finding time to write around a busy schedule. What is your key takeaway or message you hope readers find in your book? Curiosity for the lives and voices of women whose stories — both fictional and factual — have been diminished or demeaned in history. At the Open Book! You can buy it directly from SUNY Press or Amazon for the library price, which is simply too high, or through us at cost (a 70 percent discount). Walking into an art gallery and becoming inspired by something previously unknown to me that takes possession of my imagination for the next few weeks. This is kind of a specific example, because it happened to me recently with Will at the Marina Abramović exhibit, “The Cleaner,” in Denmark. It had a profound affect on me both personally and creatively. And of course: being with loved ones, reading at the lake, writing, teaching, listening to music, or eating chocolate.